The proposed change seeks to amend the urban limit line to enable the delivery of urban development at Tauriko West and has been prepared in accordance with the new RMA streamlined planning process direction from the Minister for the Environment which was gazetted on 28 February 2018. The area is identified for potential urban development to support our region’s rapid growth, as part of the SmartGrowth partnership’s 50-year vision for the western Bay of Plenty. The Tauriko West project sees SmartGrowth partners Western Bay of Plenty District Council, Bay of Plenty Regional Council and Tauranga City Council working alongside the NZ Transport Agency to create a thriving community for locals to live, learn, work and play locally. The Minister’s direction sets out a strict timeline in which the proposed change must occur. The timeframe provides for consultation, public notification, and a period for submissions and a public hearing. At the end of the process (approximately the end of September 2018) the Minister will issue his decision on the proposed change. The NZ Transport Agency, working alongside the three councils, needs to confirm the optimal mix and timing for public transport, walking and cycling, local road, and state highway improvements. 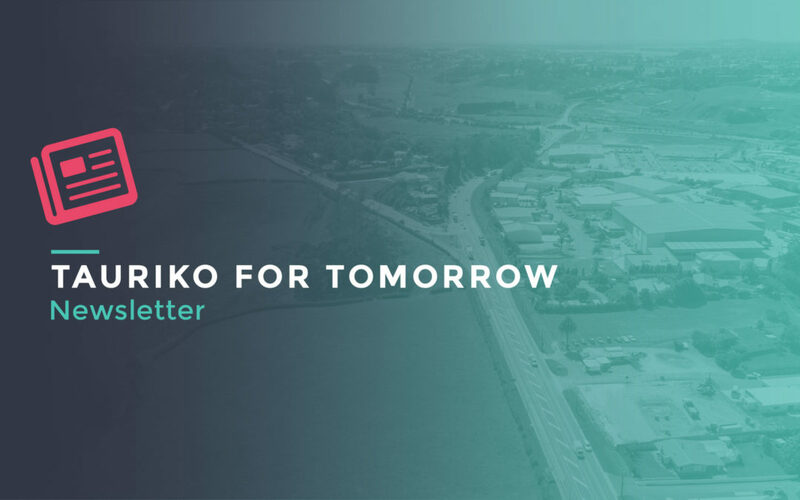 This will ensure that the transport system for Tauriko is safe, supports local growth, and provides alternative travel choices for the community. Go to www.boprc.govt.nz/Change4 and have your say on the proposed change to the Regional Policy Statement by 4pm on Wednesday 4 July 2018. Here is an update on the other workstreams led by the Tauriko for Tomorrow project partners. Tauranga City Council is making progress on delivering detailed technical assessments and modelling as a basis for the future structure plan: natural hazard assessments, landform development models, transportation modelling and detailed infrastructure planning for stormwater, water and wastewater. These technical components aim to create a resilient and well-connected community. Tauranga City Council will prepare a draft structure plan for review by the community as the project progresses. The Western Bay of Plenty District Council will prepare an application once the urban limits change is complete. If the alteration is made, Tauriko West will be serviced by Tauranga City Council and become a new suburb of Tauranga. Tauranga and Western Bay residents will have the chance to have their say during this process. The Transport Agency, alongside the partners, is now considering the range of potential bus, walking and cycling, and road projects to identify the optimal mix for the transport network. The detailed business case and implementation plan is being developed, which will determine the final mix of public transport, walking and cycling, and road improvements. In parallel to developing the plan, the Transport Agency is looking at safety and efficiency improvements on SH29 and SH29A over the next one to three years.